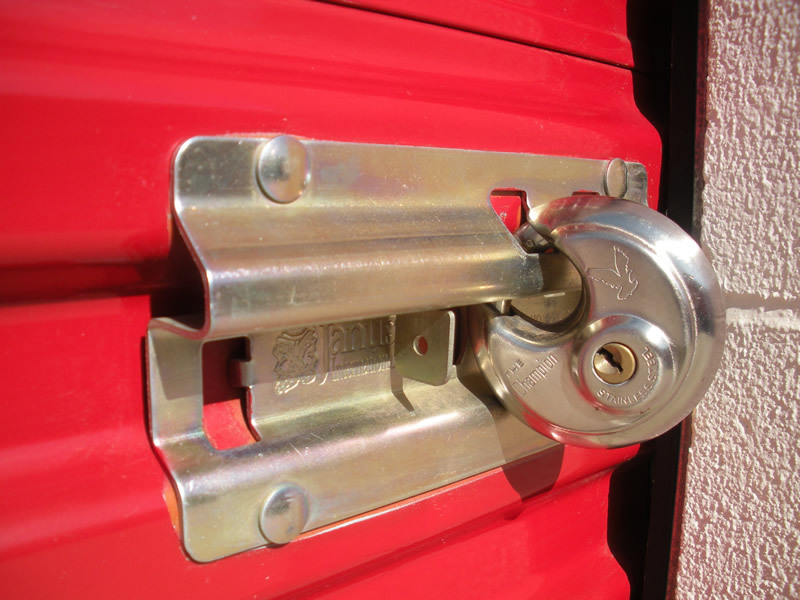 For your security and peace of mind, our storage centers have the latest state-of-the-art security features including individual door alarms, 24-hour camera recording, entry & exit gates with keypad access, and resident managers that live right on site. Please keep in mind that many storage centers do not provide all or even some of the numerous security features that we provide to all of our customers. 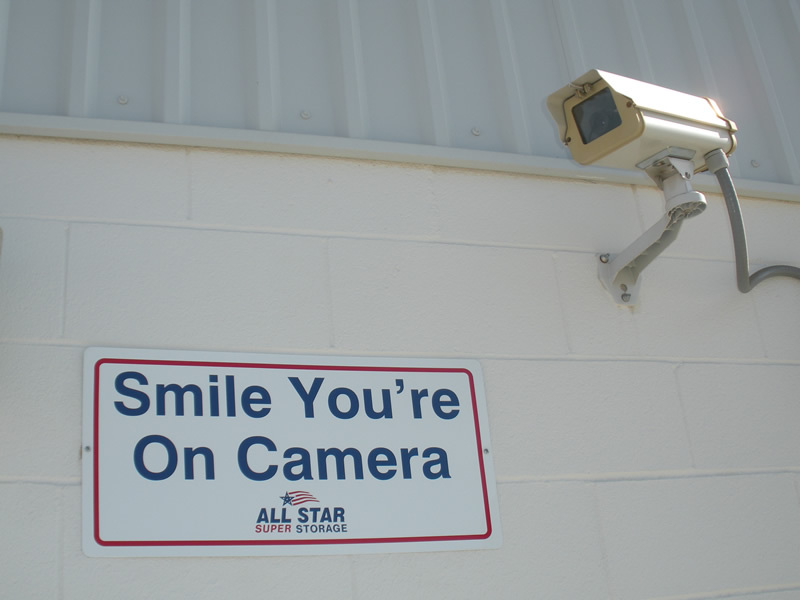 Here are some of the security features that you will receive FREE of charge at our All Star Super Storage Centers. Computerized Key Pad Gate Code Access: Our locations are similar to a "Gated Community". 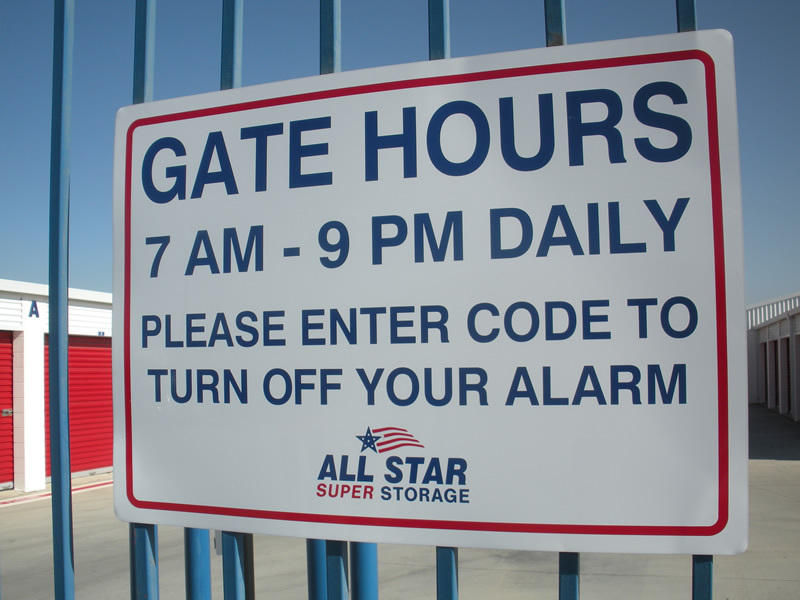 When you store with us, you will receive a unique gate code. 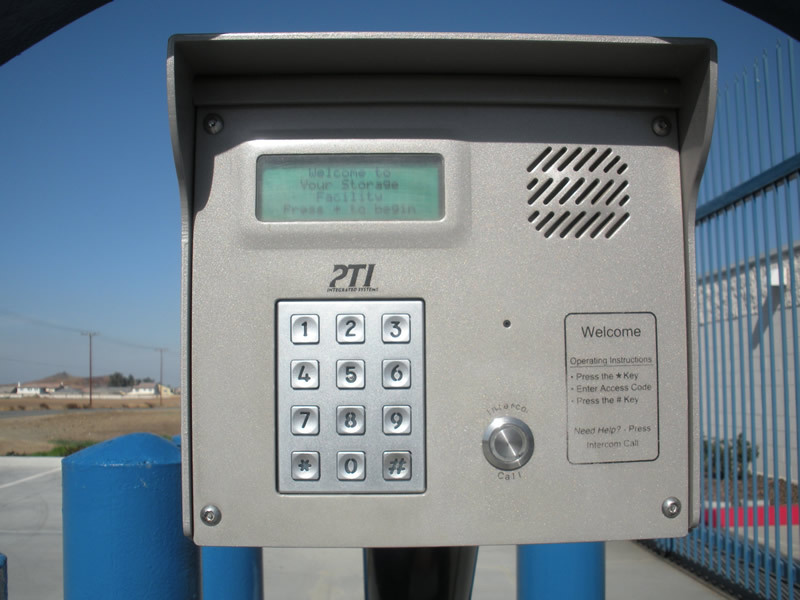 When you enter your code at the entrance gate, your code will open the gate and shut off one alarm, the alarm on your unit door. Similarly, when you enter your code at the exit gate, the exit gate will open and your door alarm will be re-activated. Individual Door Alarms: All of our unit doors are equipped with an individual door alarm that is hard-wired underground back to our office, then forwarded to a central monitoring station. We provide 24/7 alarm monitoring FREE of charge to every customer. 24/7 Camera Recording: Our locations are equipped with a network of cameras that digitally record on-site activity 24 hours each day, 365 days a year. 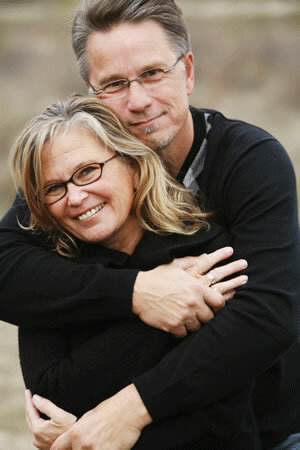 Resident Manager Lives On-Site: Each of our locations has a resident manager that lives right on-site. This provides an extra layer of security. Security Lighting: All of our Storage Centers are well lighted for your convenience and security. FREE High Security Disc Lock: When you store with us, you will receive a FREE high security stainless steel disc lock that we provide to you for your additional security and peace of mind. Your lock, your key. 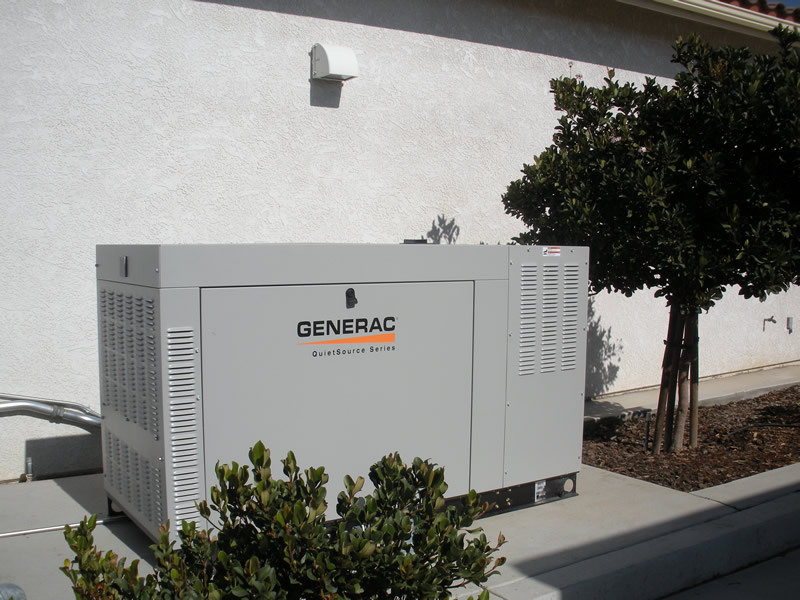 Permanently Installed Backup Generator: All of our Storage Centers are equipped with a permanently installed backup Generac Generator to insure that the office, door alarms, cameras, gates and lights will be operational even when a local or regional electrical power failure occurs! 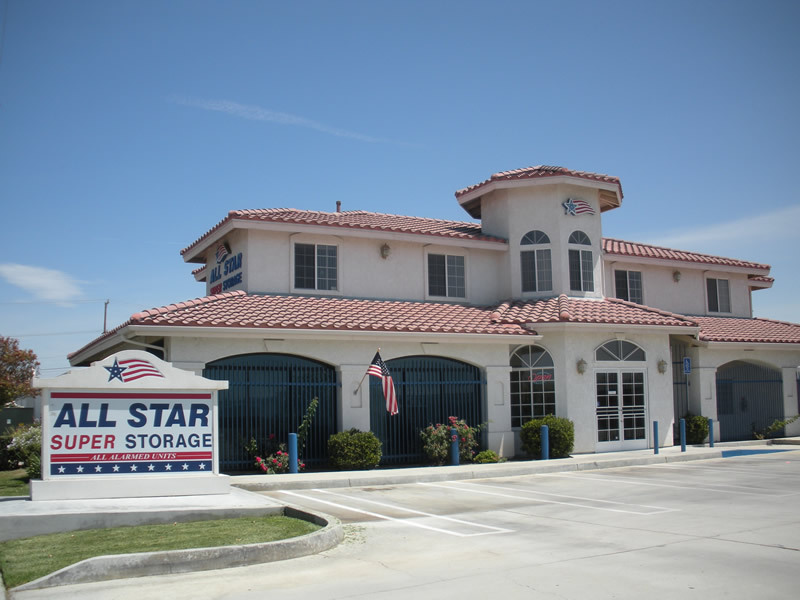 We have the Best Prices, Best Security, Best Service, and Best Storage in the area, so come on in and visit with us, and see why we are the All Star of Storage. Why go anywhere else, when You Can Have the Best For Less!